A concentrated blend of low foaming surfactants to promote the rapid drying of glassware, crockery and kitchen utensils. 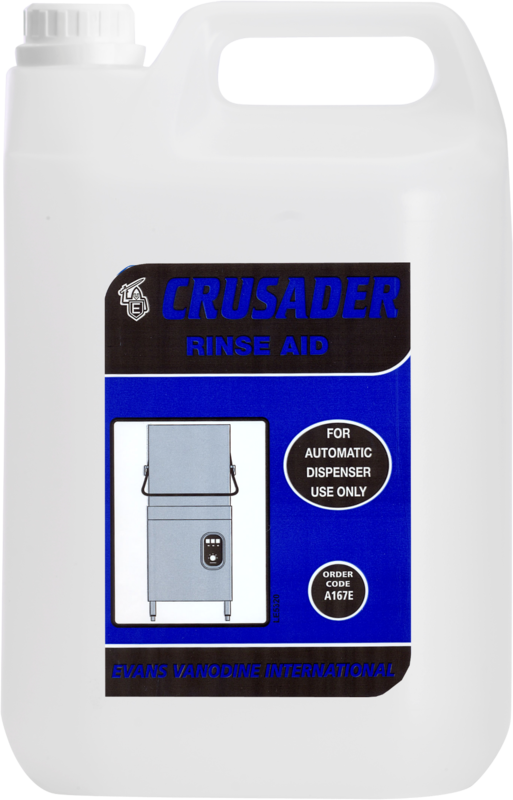 For use in single and multi tank automatic dish and glasswashing machines in kitchens, canteens, restaurants, hotels and bars. 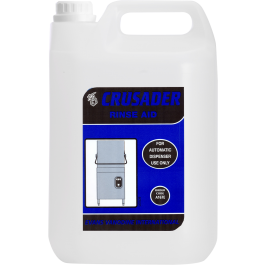 For best results use in conjunction with Evans Vanodine Crusader Dishwash Detergent.